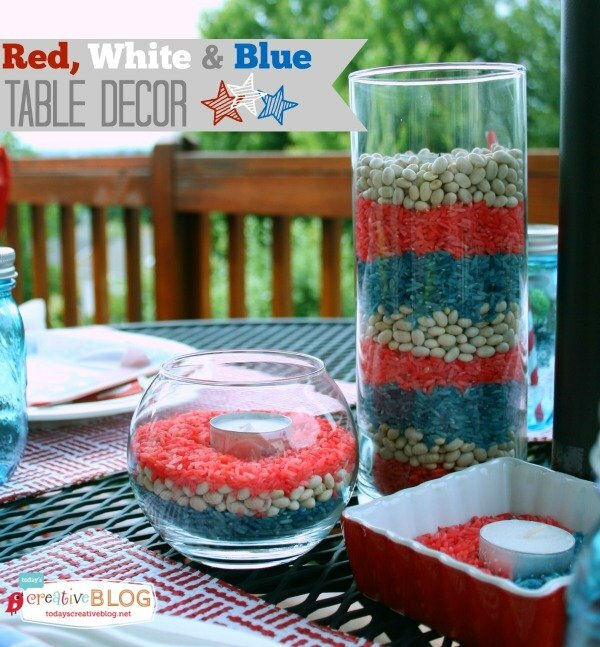 EASY Red, White & Blue Patriotic Decor is so simple with this idea. 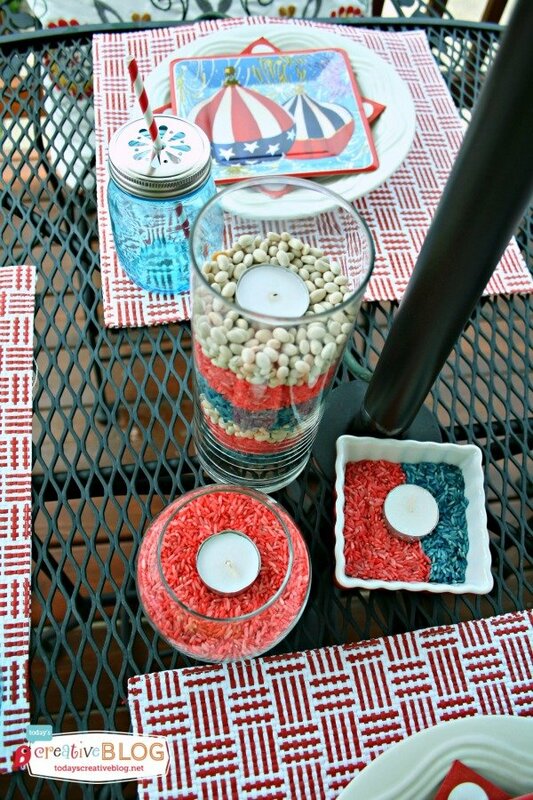 Ever since I made these Patriotic colored rice filled mason jars a couple years ago, they have been pinned, featured and recreated a million times. Well……maybe 500. 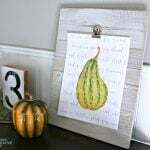 But it goes to show that sometimes the simplest ideas are the best, because I believe most of us are so busy with life that we just don’t have the time to create and plan a “pinterest quality” event…….even though we’d love to. 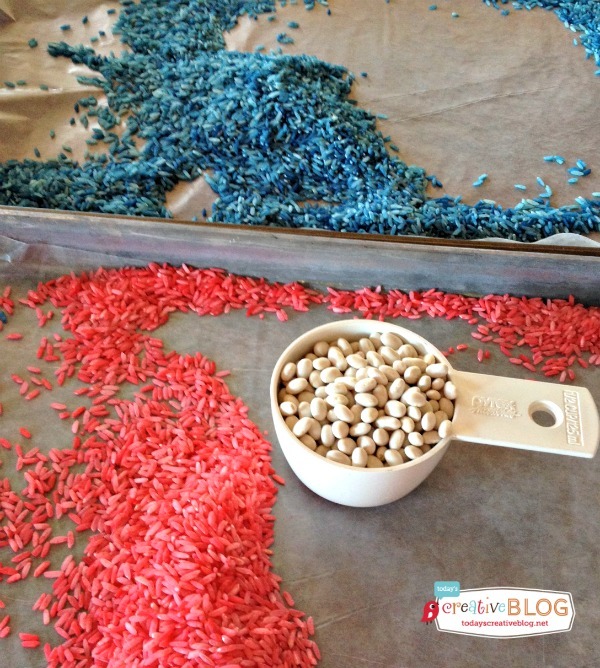 I made more colored rice and decided to use a different types of containers, as well as navy beans for the white color. 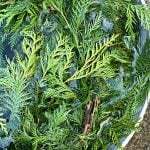 This is a great project for kids, but it does involved rubbing alcohol, so depending on the age, they made need supervision. I don’t measure, I just pour in the amount of rice I think I’m going to need for the project. For my large vase, I used a 1/4 cup of each to layer, then placed a votive on top. As you can see, I kept the rest of the table simple…….but cute! Using decorative paper plates and napkins either on another larger paper plate or your own dishes makes it easy to set a themed table. I made my own umbrella patio lights to match. They look much better when lit up at night. 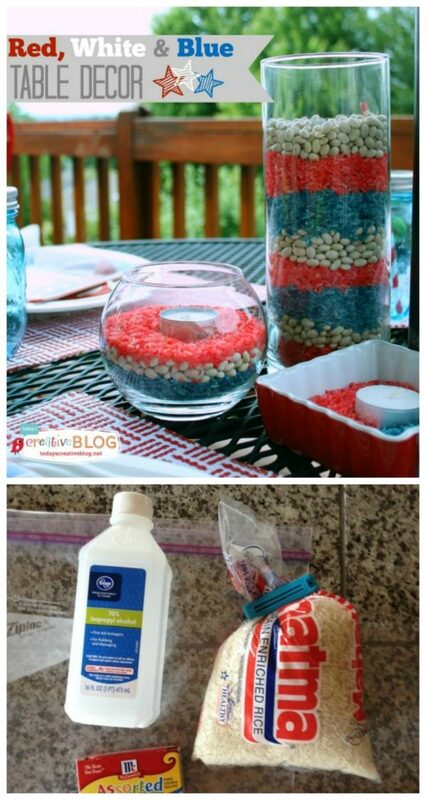 Easy 4th of July Printables also help create a fun BBQ. 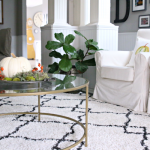 Using what you have, with a few simple ideas takes the stress out of decorating. Looking for more Red, White and Blue inspiration? Check out the Patriotic Pinterest Board. 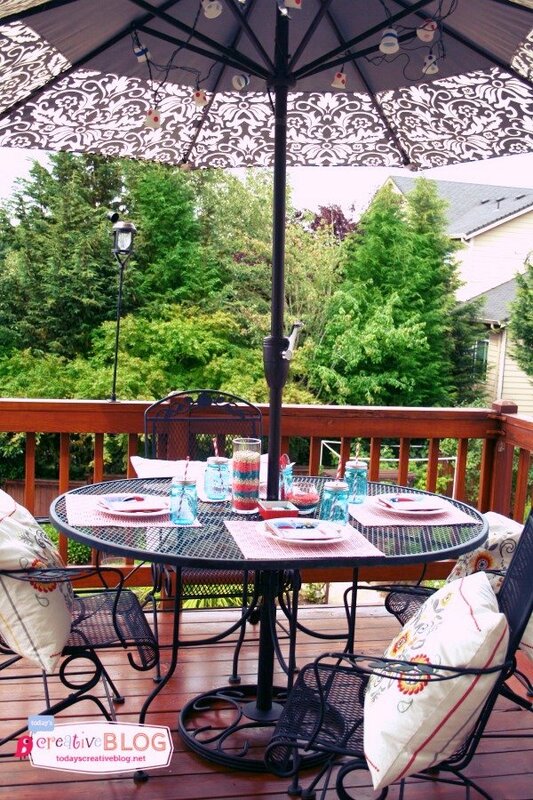 Follow Kim Demmon (today’s creative blog)’s board Fourth of July on Pinterest. Thank you Lisa! Yes, I’m with you. I like keeping things simple!